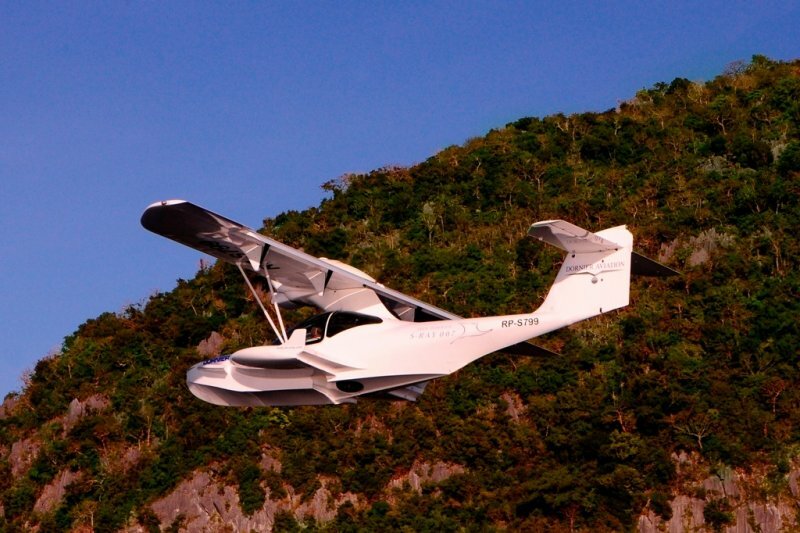 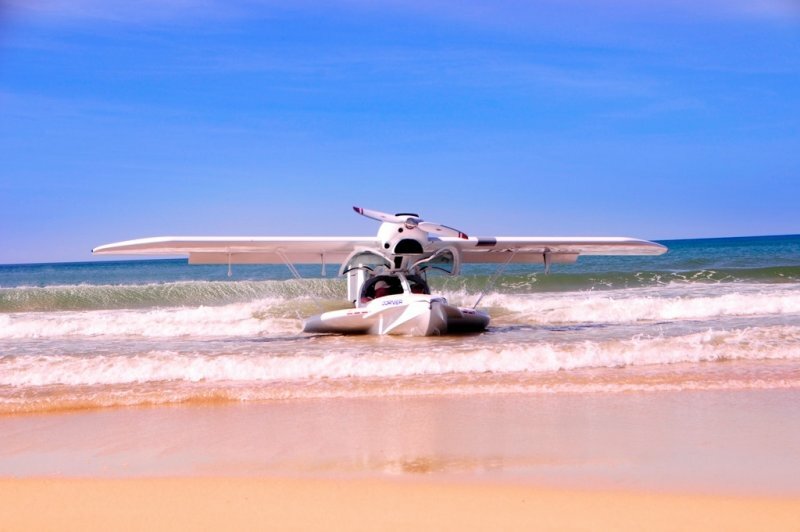 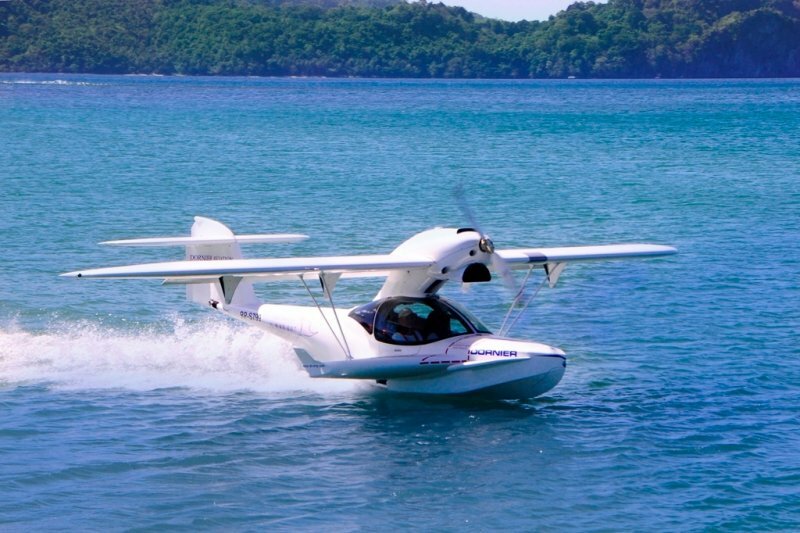 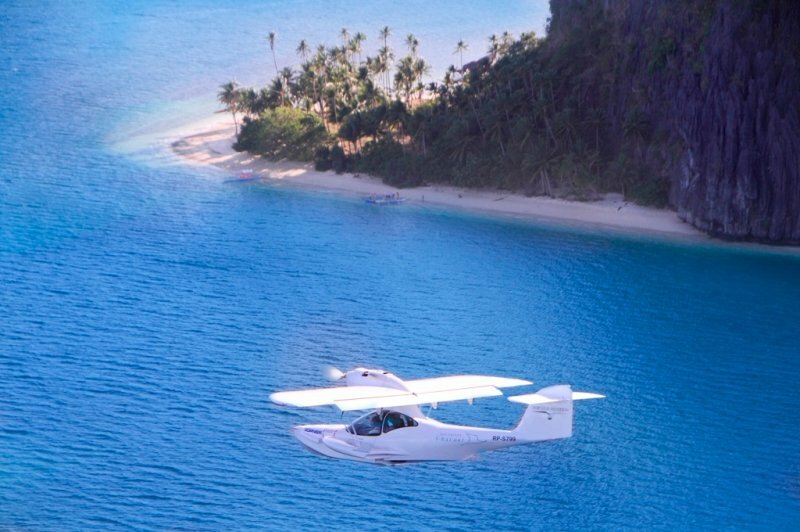 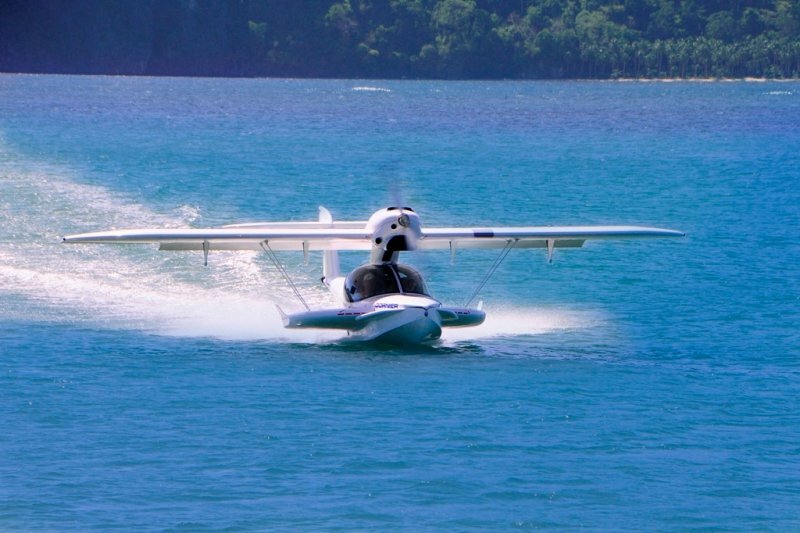 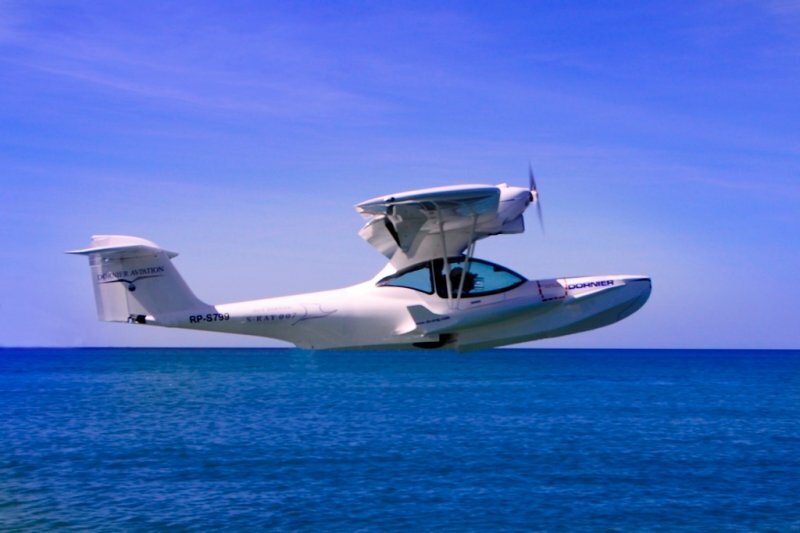 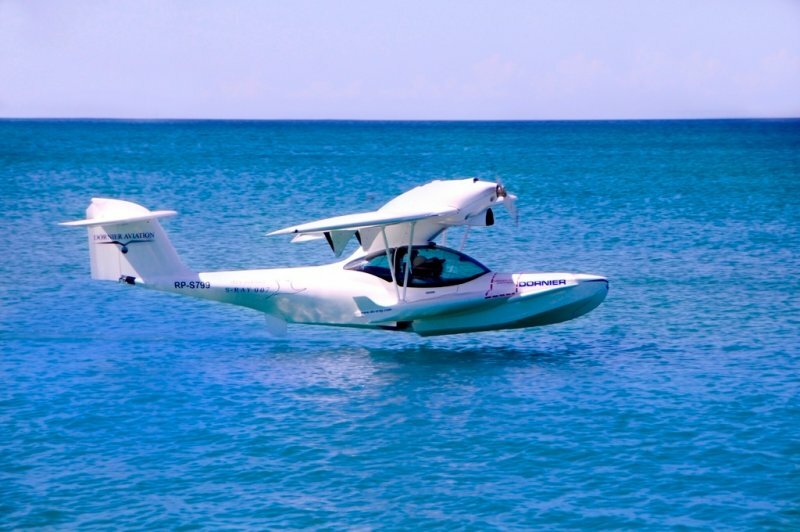 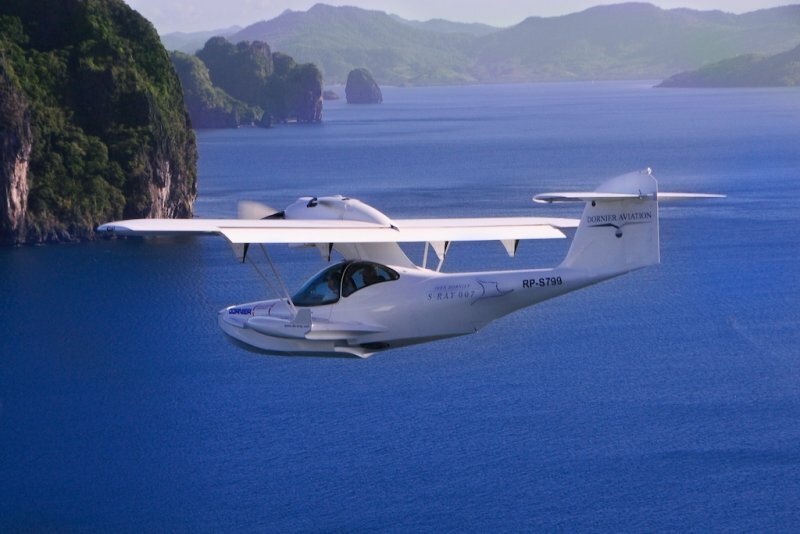 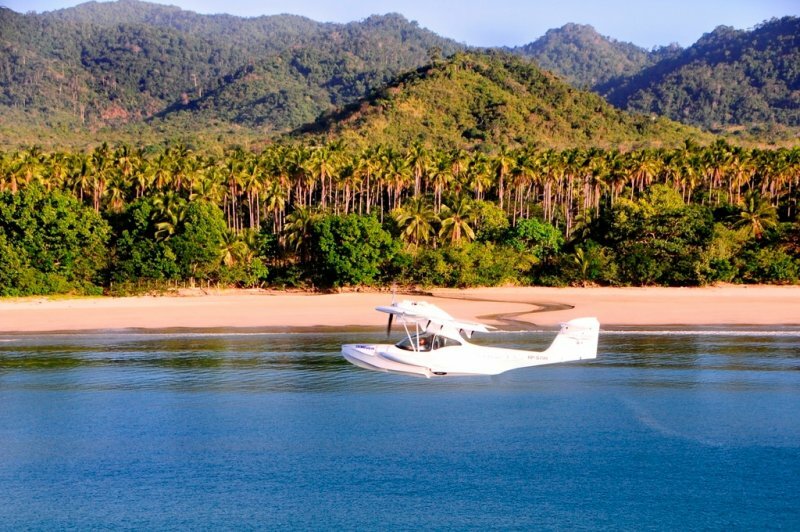 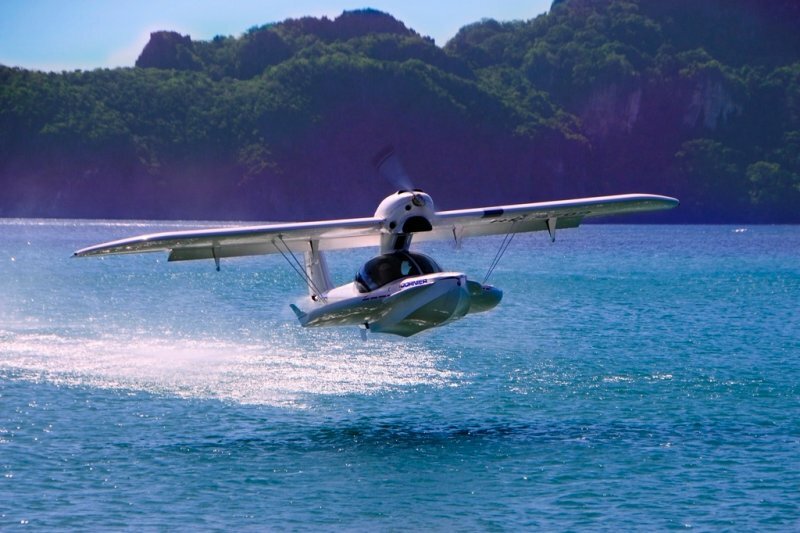 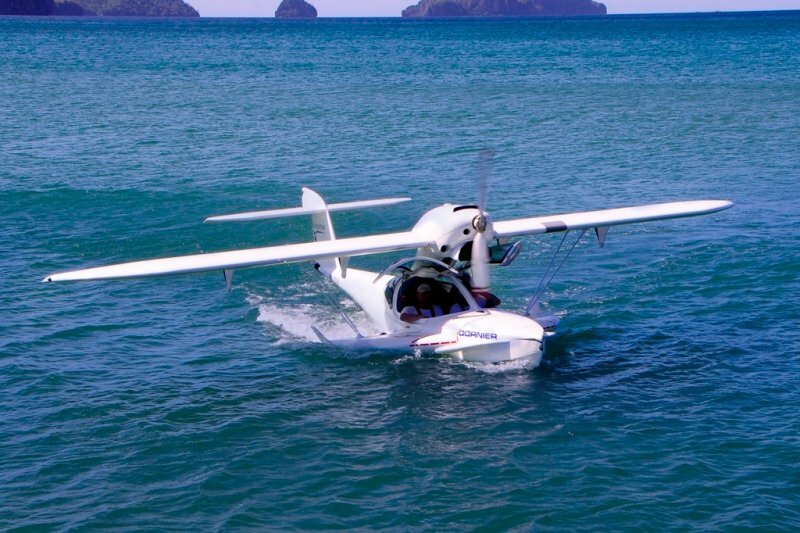 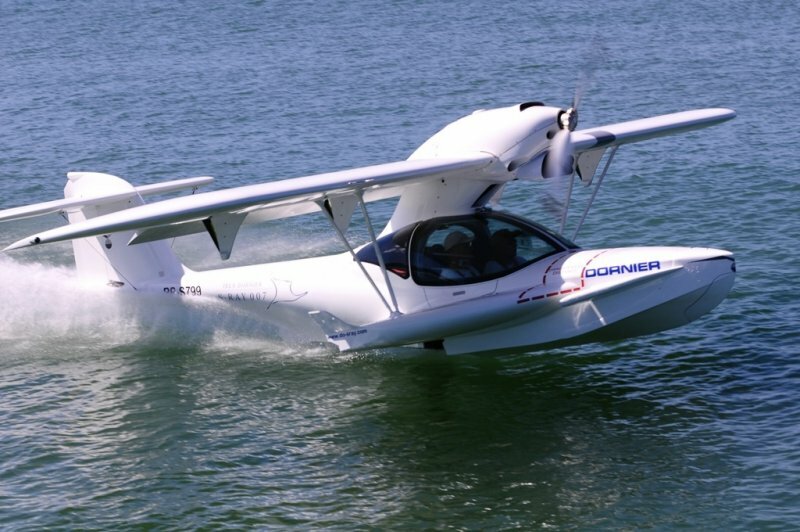 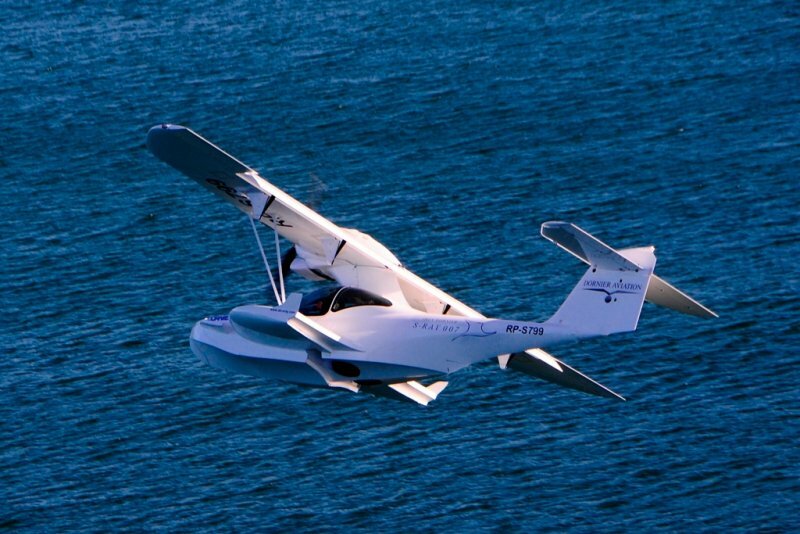 The aircraft contains and electric driven tricycle landing gear, which also can be lowered inside the water to move up or down a ramp. 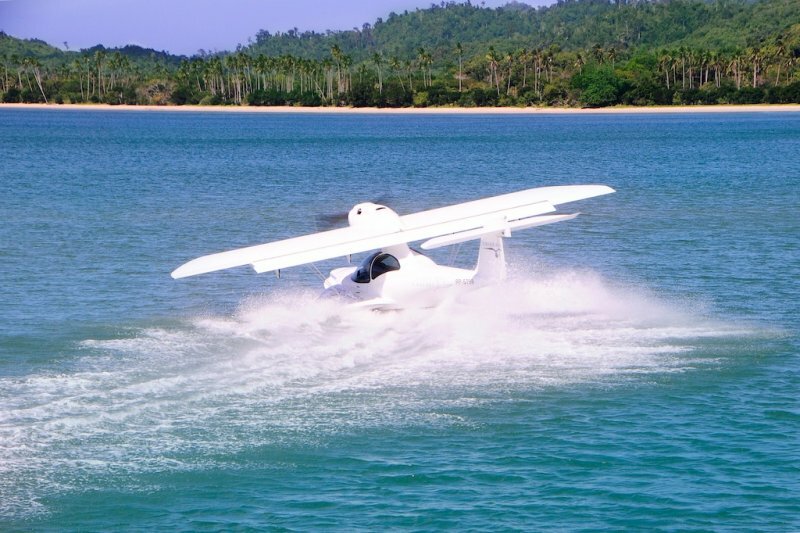 The partial free nose wheel reacts as a dampener on water collision in its retracted position. 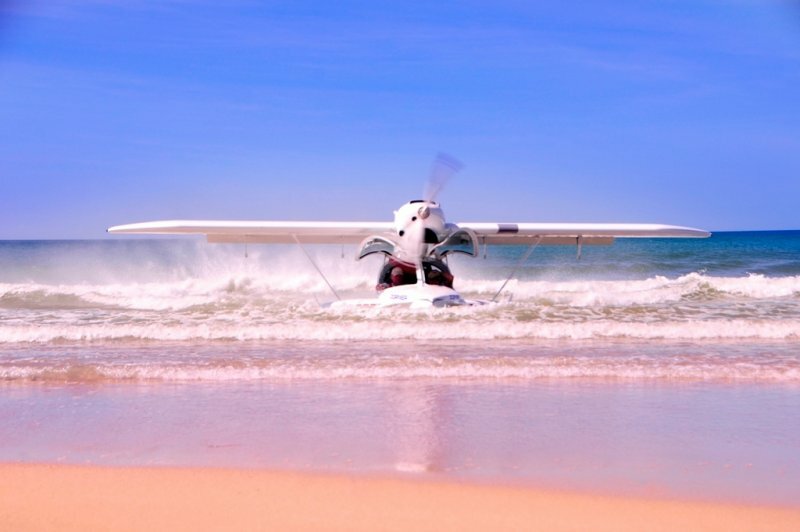 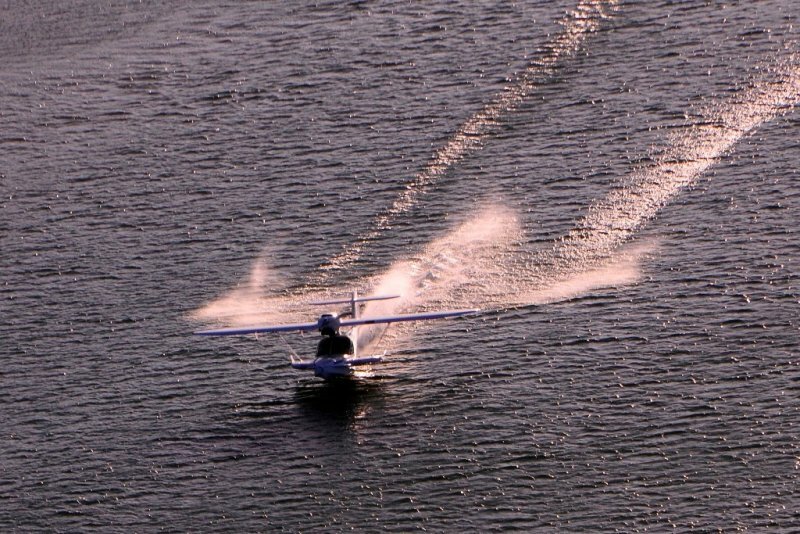 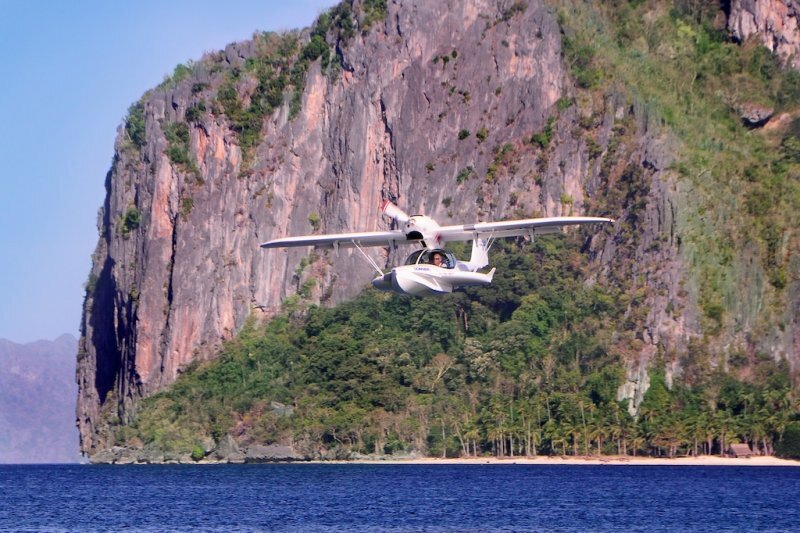 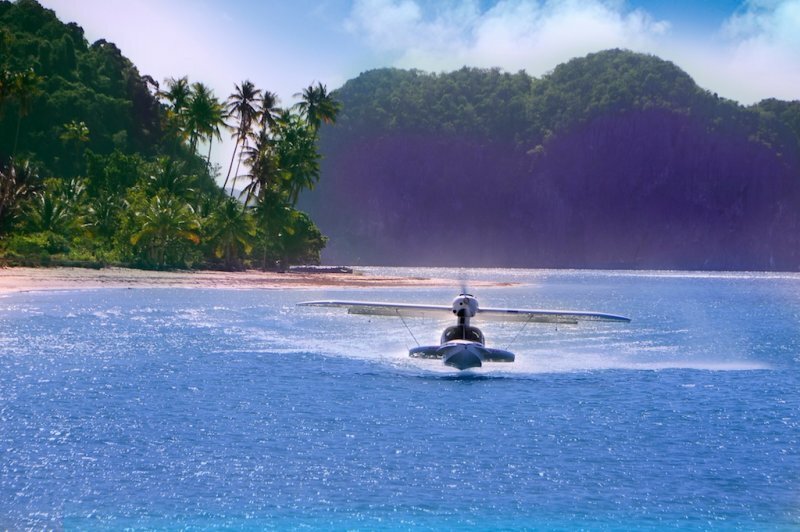 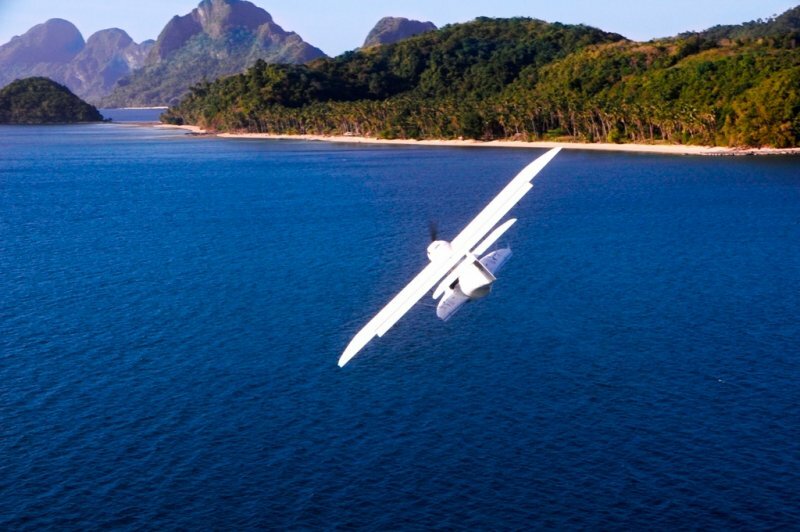 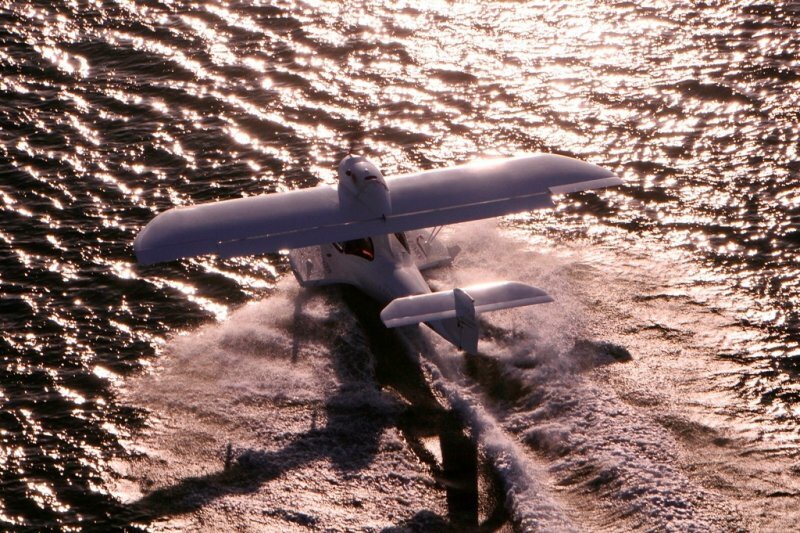 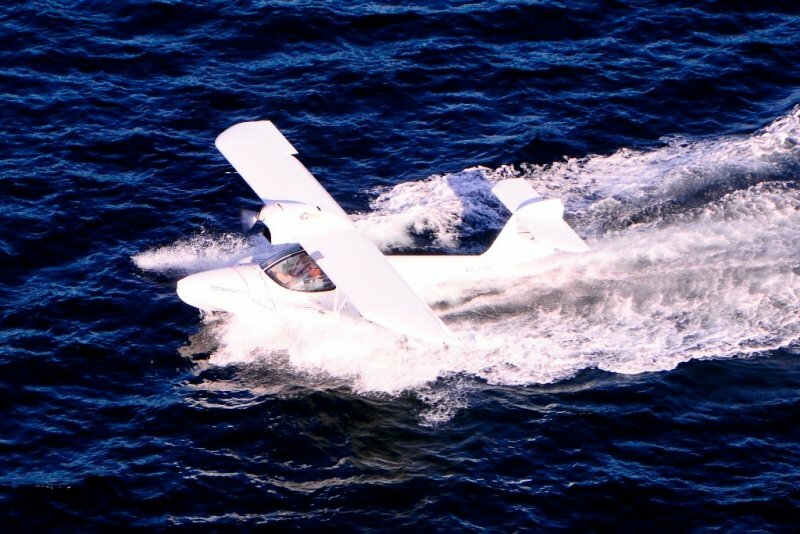 A water rudder assists to control and maneuvers the aircraft even at slow speeds. 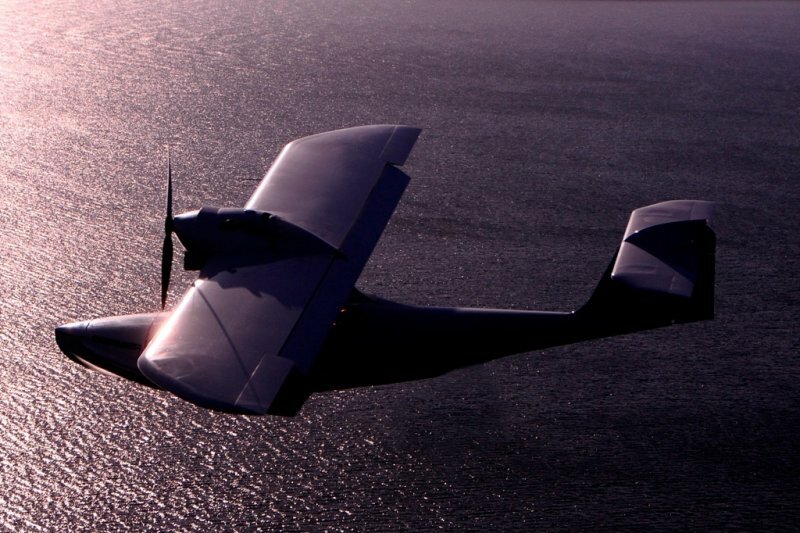 On the practical side, the aircraft was built to be transportable in a container or on a trailer, where the wing can be folded 90-degrees within seconds.